Miroslawa and Mieczyslaw Horodiuk sit on a couch in their living room, their aged cat stares through the window. Here in Konczewo in north western Poland a late spring snow has fallen, delaying the spring planting for this farming family. They rest easy knowing that summer will come and they now have a guaranteed income. 10 years ago a wind energy developer approached the Horodiuks to lease part of their farmland for a wind turbine. They were sceptical about this opportunity. It would have been difficult for them to agree if they were on their own, but they had support. 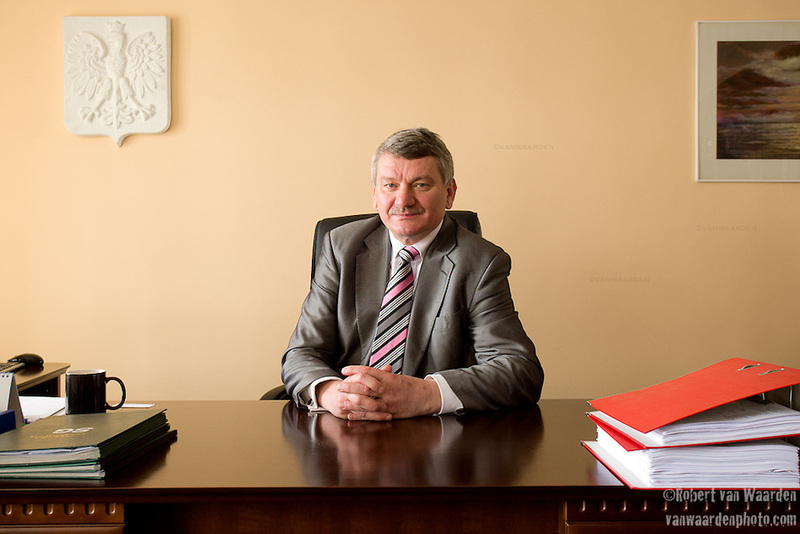 Leszek Kulinski, mayor of Kobylnica, Poland. The citizens of Kobylnica had been prepared for such an event. Leszek Kulinski, mayor of Kobylnica, became interested in wind turbines while on holiday in Denmark. (His wife complained that 80% of the photographs he took were of wind turbines.) Leszek wanted to bring this industry to Kobylnica. He travelled to Germany to research and to investigate if it was safe for the community. He returned determined to make his commune attractive to wind energy developers. His efforts have made Kobylnica the best rural commune in the country for renewable energy projects. 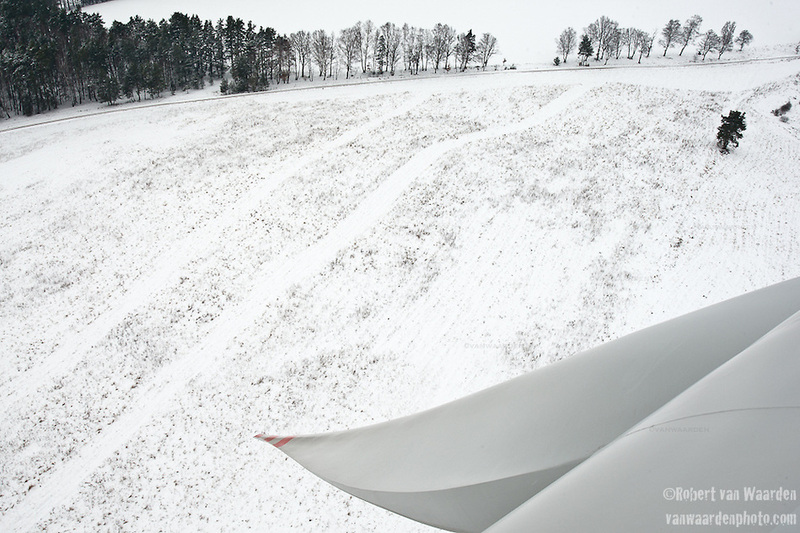 A snow covered field seen from a wind turbine in Kobylnica, Poland. 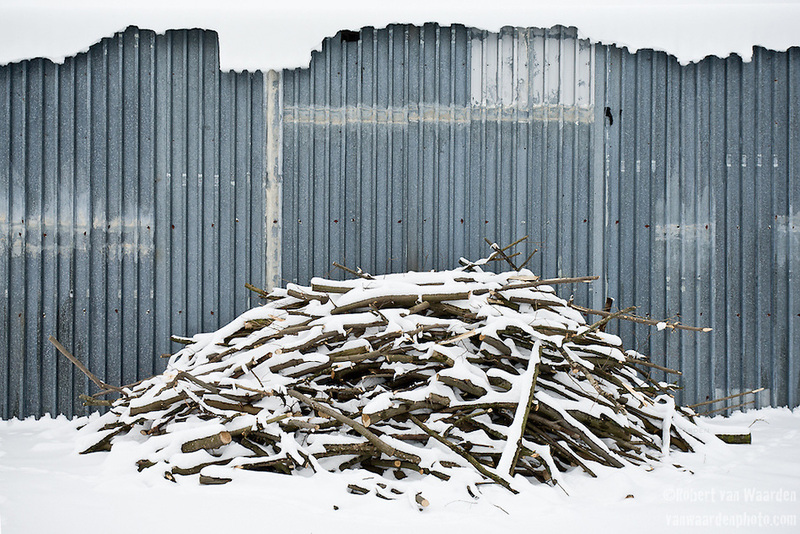 Firewood is piled outside a shed on Miroslawa Horodiuk’s farm. The partnership between commune and developers has other dividends. Tundra, the developers of the wind turbines on the Horodiuks land, had to build new roads for transportation. They replaced roads that were by all accounts terrible. They also sponsor the sports teams in Kobylnica and funded the reconstruction of the local church shrine in Lulemino. For Miroslawa and Mieczyslaw, as landowners, the community support and knowledge was invaluable. It helped them navigate the legal documents and they could seek advice if they needed it. Their story is just one among many in Kolbynica. There are many people here that have ‘won the lottery’. The two turbines on the Horodiuk’s land work peacefully with the agriculture below and Miroslawa enjoys having them there. The quarterly payment for the leasing of their land is one reason, but he also likes the notion that they are helping build a sustainable future. 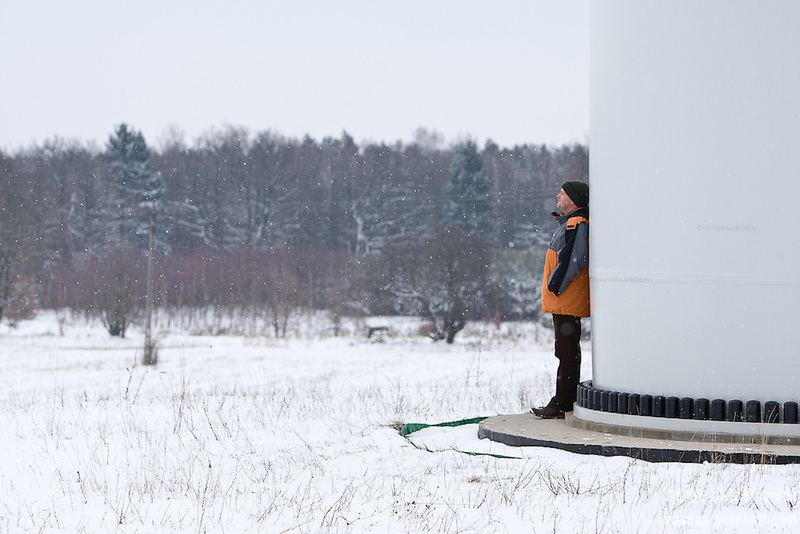 Miroslawa Horodiuk rests against a wind turbine on his farm. How it is done in the Netherlands, go to the Dunes for your sledding, the only hills around.